Clean energy isn’t just for big corporations with enough capital to make decisions solely for the environmental good. For many small business owners, going solar may be a strategic choice with significant financial advantages. 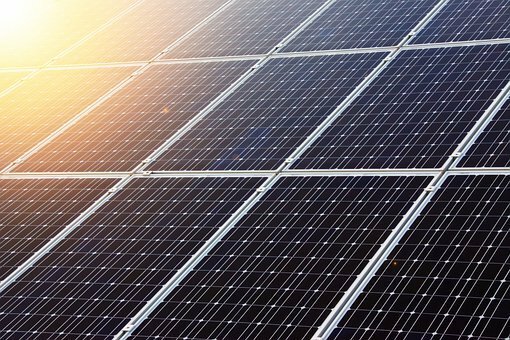 If you are wondering whether solar is a feasible option for your business ask yourself these 4 questions. By some estimates, the average commercial real estate owner saves 75 percent on their electricity bill by switching to solar, but there are a lot of online resources available to estimate how much cash your company can save on its power bill each month. The greater your electrical bill, the less time it takes for the system to pay for itself, so businesses operating in places with higher electricity rates can realize considerable economic gains from investing in solar PV. On the other hand, you could find that the most expensive panels do not necessarily translate into the greatest savings for your individual needs. Be sure that you’re working with a solar provider who can help you navigate your many options based on purchase and installation costs, power capacity, and how long your solar panels are expected to last. Solar can be a wise investment with a strong rate of return, but funding a solar energy system is a complicated process with many factors. Cash purchases yield the best savings at the greatest upfront price. Those interested in reaping the benefits of ownership without buying their system outright can finance the purchase with a solar loan, which allows you pay off the expense of the system through fixed monthly payments. For many business owners, it makes more sense to lease their solar PV system with a solar rental, or power purchase agreement (PPA), which brings immediate savings with little or no cash down, although monthly payments on a solar lease or PPA generally increase at a predetermined rate every year. To ascertain their true return on investment, business owners should think about the long-term advantage of going solar beyond its initial cost and instant savings. Thanks to increased financial incentives and lower installation costs, the purchase price of solar has decreased in recent years while energy costs continue to rise. Purchasing solar can help stabilize your energy costs and save you from the rising and frequently fluctuating price of electricity purchased from a utility. Oftentimes, solar may even increase property value, enabling you to see additional financial gain down the line.